For a safe, fun and happy Holi, Zuri has a few amazing pre, during and post Holi beauty tips for a healthy skin and body! 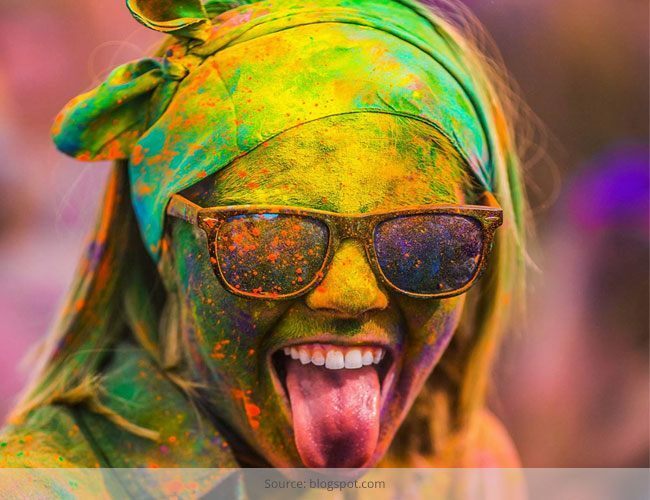 Holi is a festival of extremes – you can either absolutely love it, or totally loathe it. I suppose the fact that the chemical colors really damage skin and hair is a major reason that puts some people off Holi. Some people do use chemical-free or natural colors that can be made at home. But it is the harsh substances in the store-bought bright colors that can do a lot of damage to hair and skin. The colors, in dry or liquid state, can cause a condition called ‘acute irritant contact dermatitis’. This causes redness and rashes with intense burning and itching on the scalp. Chemical-based colors can also flare up existing allergies. If you have pre-existing dandruff or acne it can actually worsen because of the harsh chemicals in the colors. Hair exposed to synthetic and chemical colors can become dull, dry and brittle. Accidental ingestion of colors can cause toxicity, as they’re usually prepared from metal oxides. The over exposure to chemicals that strip your hair of its protective coating through the inevitable repeated shampooing and you’ve got the perfect recipe for a hair disaster. In addition, the combination of colors with heat, sunlight, dust, dirt can prove rather disastrous for your hair. To survive such harsh treatment, your hair needs that extra nourishment and protection. So there is a hair care regime that one must follow before, during and after playing Holi to keep hair looking beautiful. 1. Oil your hair well so that color doesn’t stick on your hair and can be washed off easily later. 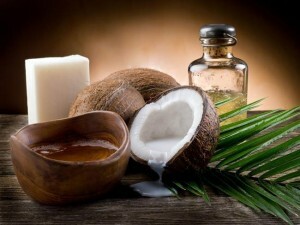 Liberally apply warm coconut oil or castor oil for 20-25 minutes before playing Holi. For dandruff, mix eight to ten drops of lemon in the oil and apply. This will help remove the colors off your hair easily. 2. You can apply some jojoba oil to the hair roots the night before also for a pre-Holi conditioning treatment. Take a towel and dip it with hot water. And cover your head and hair with the warmed towel for 30 minutes immediately after applying jojoba oil. Just don’t wash it off the next day. 3. Jaborandi Oil is excellent to apply right before you head out to play Holi. It is also known for forming a protective coat on the external covering (cuticle) of your hair. This protects it from chemicals, dust and dirt. This also causes the color to come off the hair easily after you have finished playing. It effectively prevents the harmful colors from settling down. This oil takes care of any dryness caused by the weather. It’s also the best way to provide your hair (and skin) the extra nourishment it needs to survive the day. This is especially beneficial for those who have light colored hair or blonde streaks so the color of the streaks doesn’t turn green or blue or purple! 4. If your scalp is very sensitive, apply the juice of half a lemon mixed with equal amount of water on your oiled scalp before you head out to play Holi. 5. A mixture of jojoba and rosemary oil can also be applied to make the right base for your hair and prevent the harmful colors from settling down. 6. A great way to add a protective layer to your hair, effectively sealing it from the colors and dissuading them from penetrating your hair follicles is to slather on conditioner onto your hair. Instead of applying conditioner onto wet hair and washing it off as you would normally do, apply conditioner onto your dry hair and then go ahead and take part in all the holi festivities. Not only will the conditioner protective your hair, but you will also end up with soft hair that has been well conditioned over the hours. 1. Cover your hair.Make use of hat or caps to protect your hair from being colored with hard-to-rinse dyes. 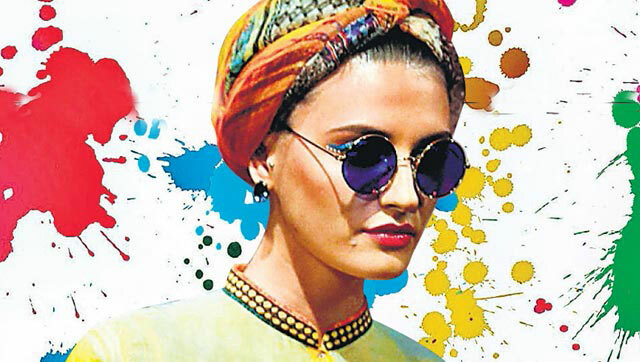 While going out to play Holi, cover your hair with a bandana, or cap. This will save your scalp effectively. 2. Avoid synthetic colors and powdered dyes. Instead opt for skin-friendly vegetable or natural colors. 3. It is best to keep your hair tied in a bun or ponytail so that maximum surface area is safe from the colors. If you don’t mind looking a little wacky for the love of your luscious locks, it may be a good idea to cover your hair with a shower cap or bandana before you go drench yourself in color. 4. Drinking beer while playing Holi? Great! Save half a can of beer and use it to rinse your hair after shampooing. It will give your hair a great shine after all the polluting colors. 5. If somebody smashes an egg on your head, it could gross you out, but worry not – the conditioning properties of the egg will do a lot more good to your hair than damage! 1. 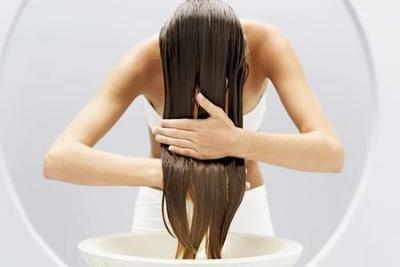 First thoroughly rinse out all the color from your hair with normal water. but don’t wash more than one time at the same day. 2. Wash your hair with a mild shampoo. Dry colors used on Holi tend to make hair rough and prone to breakage. To prevent this, wash your hair thoroughly after a game of colors, preferably using herbal shampoo. Do not apply harsh shampoos to get rid of the colors as this might strip off the natural oils present in your hair. To complete the process, pour a few drops of lemon juice in a mug of water and use it to rinse your hair one last time before you step out of the shower. The lemon juice will help restore the alkaline-base balance in your hair. 3. If you have hair loss or rough hair, massage it with warm almond or olive oil. This will soothe and condition your hair. 4. Soak few fenugreek (methi) seeds in water overnight. Next morning crush them to make a paste. Apply this on your hair and keep it for at least 15 minutes. Wash your hair with a mild shampoo. If used twice a week, the mask will help reducing hair loss. The mask also controls the dandruff. 5. For at least a week after playing Holi, treat your hair to a hair mask every day. One day could be pureed bananas, the next day could be eggs and milk, followed by a mixture of three oils (almond, olive and coconut), or even yogurt and milk cream. You can also apply a hair pack on the final day to restore sheen and bounce – a mixture of henna powder, lemon juice and curd mixed with half a cup of black tea. You can apply this on your hair and wash off after an hour.